CDG Certification Limited provides BIFMA certification services in Delhi, Mumbai, Kolkata, Chennai, Bengaluru, Hyderabad & all parts of India. We are instrumental in offering a comprehensive range of BIFMA Compliance Testing Services. Business and institutional furniture manufacturers association BIFMA is an international association which sets standards for furniture. These are rendered by our talented and experienced professionals. Business and institutional furniture manufacturers association - BIFMA is an internation association which sets standards for furniture. 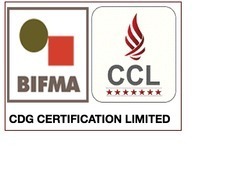 CDG provides BIFMA compliance / BIFMA certification services. The BIFMA commercial furniture sustainability standard is rapidly becoming one of the most respected and credible standards for defining sustainable products. The standard includes prerequisites and criteria that address not only the product, but also the manufacturer. This Standard is applicable to business and institutional furniture manufactured in one facility or multiple facilities, one country or multiple countries. It addresses product-based characteristics in the general areas of materials, use of energy, human and ecosystem health. This Standard is applicable to business and institutional furniture manufactured in one facility or multiple facilities. The Standard is also applicable to materials and components manufactured by suppliers to furniture manufacturers. It addresses product-based characteristics in the general areas of materials, use of energy, human and ecosystem health, and social responsibility impacts. The standard is divided into four basic elements consisting of various prerequisites and credits that are potentially available to organizations seeking product conformance to the standard. The purpose of this voluntary Standard is to provide measurable market-based definitions of progressively more sustainable furniture by establishing performance criteria that address environmental and social aspects throughout the supply chain. 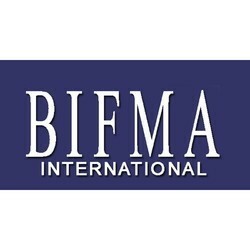 BIFMA is testing for examination of Institutional furniture. BIFMA sponsors the development of safety and performance standards, provides industry statistics and forecasts, advocates for regulatory conditions that foster value and innovation. BIFMA is the trade association for Business and Institutional Furniture Manufacturers. Since 1973, BIFMA has been the voice of the commercial furniture industry. 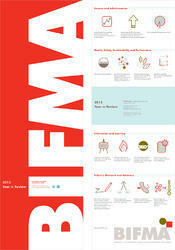 BIFMA is the not-for-profit trade association for business and institutional furniture manufac­turers. BIFMA is the Business + Institutional Furniture Manufacturers Association, which is a group of industry experts that develop, maintain, and publish safety and performance standards for furniture products. Be confident and provide reassurance to your customers that your office furniture is safe, legal and fit for purpose in accordance with the very latest standards and regulations by testing with the recognised experts for the furniture industry. The standard applies to all business and institutional furniture, including moveable walls, systems furniture, desking systems, casegoods, tables, seating and accessories, and materials and components manufactured by suppliers to furniture manufacturers. To become BIFMA compliant, a manufacturer must submit their products to an accredited testing lab, where the items are subjected to a series of tests outlined in the standards for that product. Contact CDG for BIFMA compliance services. Household goods and furnishing cover a wide range of products and appliances. From furniture, kitchenware, toys and sanitary products to tools, construction materials, energy appliances and many more! Each and every of them needs to comply with a specific range of safety regulations, quality and design requirements. On top of that, your products need to meet retailer, market and customer expectations in order to ensure sales. We provide comprehensive services to ensure compliance of your products as well as facilitate access to and competitiveness in demanding markets. Benefit from our expert services and years of experience for a wide range of toys, furniture and hardgoods. Gain a competitive edge in the furniture market by demonstrating commitment to the environment, quality, performance, and product claims with BIFMA testing and certification. Participation in the BIFMA certification program provides a pathway for furniture manufacturer to achieve greater sustainability attributes, not only for individual products, but throughout the entire supply chain. 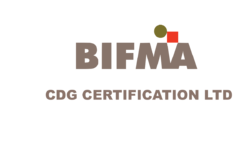 Manufacturers who receive the BIFMA certification mark are verifying that their policies and guidelines of the facility, furniture products and processes, and suppliers of materials and components are meeting the stringent requirements for BIFMA certification by BIFMA standard conformance. Increase your product acceptance by promoting your level of commitment to the environment. Certification provides independent verification of quality, performance and product claims. Validate and support the credibility of your sustainable claims with third-party certification. CDG is your experienced partner to prove conformance according to the ANSI/BIFMA e3 furniture sustainability standard and enable level® certification. Contact our experts now and they will first check to see if your furniture meets the prerequisites for a level certification.